If you feel a call to care for others but don’t want to commit to years of study, a career as a certified nursing assistant may be just the answer. CNAs work closely with patients and residents to provide physical and emotional support. They spend more time with patients than nurses and other healthcare providers. Their duties include bathing, dressing, and grooming patients, serving meals and feeding patients when necessary, assisting with restroom visits, measuring and recording vital signs, and mobility. 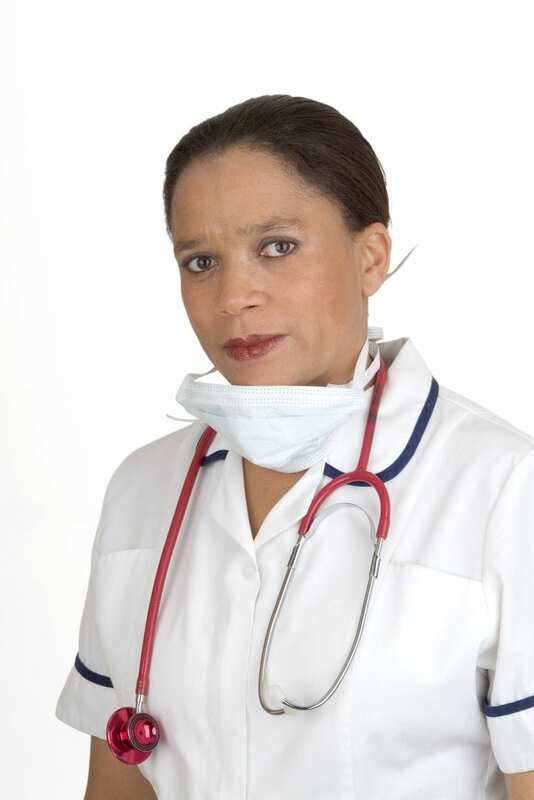 They observe patients to detect any adverse reactions to medications or treatment and report concerns to nurses. CNAs gain valuable experience in patient care and team collaboration, which can serve them well if they later decide to become a licensed practical or registered nurse. According to the Bureau of Labor Statistics, employment for nursing assistants is expected to grow 11 percent through 2026. The majority of CNAs work in long-term care facilities, but some work in home health, private hospitals, and government facilities. Nurse aide training programs may be completed in a few months and will support the development of the knowledge and skills to provide safe and competent patient care. Program graduates will need to complete the nurse aide competency exam for certification by the Oregon State Board of Nursing. The training is affordable, and the investment is worthwhile as CNAs typically secure employment shortly after certification. If you’re considering a career in nursing but aren’t ready to commit to long-term study, a career as a CNA could be an excellent first step. The Oregon State Board of Nursing program at Chemeketa Community College covers 155 hours of training. Students will complete 80 hours on campus, covering classroom theory and lab experiences in a simulated lab. The final 75 hours will be conducted in a long-term care facility. Students who successfully complete the program will be eligible to apply for the Nurse Assistant Competency Evaluation for state certification. Enrollment for the non-credit course is open in the fall, winter, spring, and summer semesters. Course topics will include but are not limited to basic nursing skills, anatomy and physiology, medical terminology, vital signs, infection control, range of motion, patient transfers, law and ethics, patient rights, nutrition and feeding, communication, and hospice care. Applicants who are accepted into the program will receive instructions for completing the criminal background check and drug screen. Tuition for the program is $1,200. The cost includes fees, textbook, gait belt, stethoscope, and scrubs. Students are expected to pay for a background check, drug test, CPR, immunizations, parking pass, fingerprinting, and application to test. Sherwood Park Nursing and Rehab offers a certified nursing assistant program to the communities of Salem and Keizer. Enrollment is limited to 10 persons so students will receive personalized attention and support. Graduates will be qualified to apply for the state exam for certification from the Oregon State Board of Nursing. Students must complete 52 hours of online coursework. The online work is broken into modules. Progression to each successive module requires passage of an internal assessment. At the end of the final module, students must pass a final exam with a score of 80 percent or better before beginning the second part of the program. The online module is closely linked to 27-hours of labs at Sherwood Park as it gives students the opportunities to apply the theory in a simulated environment. Attendance of all labs is mandatory for the completion of the program. Lab sessions take place on Monday evenings and Friday afternoons. Segment two of the program comprises of 80 hours of clinical practice on-site. The clinical experience is full-time and is scheduled for Wednesdays and Fridays. Commit to attending all labs and clinical experiences. Tuition for the program varies between $640 and $720 – the cost is $740 if you need CPR training. Applicants must be prepared to make the payment in full upon acceptance to the program. The cost includes tuition, books, online subscription fees, licensing exam, and materials. Students must budget for a criminal history background check and CPR training. Students enrolled in the nursing assistant program at The Caregiver Training Institute acquire the skills and knowledge needed to perform the duties and responsibilities of a CNA. The program requires active involvement in the classroom, hands-on training in a skills lab, and supervised patient care experiences in a nursing facility. Students spend 80 hours on-site to complete the classroom and lab requirements and 75 hours in a clinical setting for a total of 155 hours. TCTI offer several training options. The Online NA-1 lets students complete 53 hours online, 27 on-site for labs, and 80 hours in a nursing facility for the clinical experience. The NA-1 Enhanced Learning program provides 100 hours in a classroom/labs setting and 75 hours in a clinical setting. Graduates of both programs will receive a Certificate of Completion to apply for the certification and the competency exam provided by the OSBN. Day, evening and weekend schedules are available. Provide documentation of negative TB and required immunization. Tuition costs $1,150. The Enhanced Learning program costs $1,350. Additional expenses include textbook and workbook, BLS CPR, TB screening, medical equipment, and immunization.